We're on a mini-vacation for the holiday weekend with my in-laws who were kind enough to invite us and pay for the hotel rooms. They even got us an adjoining room with the kids so we had space to spread out instead of cramming 5 people -- two of us who take up significant real estate -- into two queen size beds. After we checked in and got into our rooms, I gave the kids (and Mike!) the speech about no one orders a movie on TV, no one calls room service (Annie's favorite thing to do), and no one even thinks about touching the food/drink that's in the stocked fridge. Well, at about 1:00am, I woke up. I laid in the bed and tried to fall back to sleep for about 30 minutes, but no luck. And I realized I was hungry. "Fall back to sleep and it'll be breakfast in no time," I tried to tell myself. So I got up and tried to eat a cold piece of garlic toast from dinner -- stale and with the butter solidified like a greasy paste on top. Nasty. I got online to distract myself from the gnawing in my stomach. But let's face it, I am human. I am a human with miserable will power. It's not my fault the bag of peanut M&Ms was calling me from the mini fridge. Ok, so it's my fault that I answered, but I'd rather play the victim in this scenario. After polishing off the probably $6 bag of M&Ms (couldn't find a price list anywhere -- not a good sign), I was very thirsty. Now, I could have had a glass of water from the bathroom sink. But I kind of have a personal policy against drinking hotel bathroom sink water (weird, I know). And having already been tempted by and succumbing to the allure of the mini fridge, I gave in to the Diet Coke. Probably another $4. Oh, and the internet I'm using to write this post? $10/day. I do feel a wee bit guilty for setting an expectation for my family and totally disregarding it myself. Guess I'll have to play the "do as I say and not as I do card." And get my in-laws a really nice Christmas present. I typically do not pay much attention to politics (except when the MyMitch campaign hires my husband to do some graphic design work for them). But with all the hubbub about the announcement today of the Republican veep candidate, I thought I'd check out HoosierAccess.com to see what they had to say about it. Little Known Fact about Sarah Palin: Sarah Palin and Tina Fey were separated at birth. Post your little known Sarah Palin facts in the comments section. ...starting my day by attending the all-school Mass at my kids' Catholic school. The music is peppy and engaging and all the more appealing when sung en masse by 400+ kids. This morning's opening song was "Blessed Be the Lord My Rock," which is one of my favorites and will be stuck in my head the rest of the day. Last week's opener was "We are the Family," which is equally as catchy. Click here to listen to a sample of it. Just know that when our kids sing it, it sounds a lot more genuine and a lot less hokey! I'll try to get a sample of "Blessed Be the Lord My Rock" to share as well. But it's not just the music. The homilies at the all-school Masses are geared toward the kids and are generally interactive. It's always fun to hear how the kids will answer questions posed by the priest. Last year, Fr. Paul asked the kids what commandment would they add if they were writing the 10 commandments. My Charlie answered "Do not punch your sister." That kid is bound for the seminary, I tell you. Entertainment value aside, kid-friendly homilies are good for me too, as sometimes my faith is not as mature as my age. I benefit from the message put forth simply and directly. The sign of peace gives me a chance to find each one of my children and give them a hug and an "I love you." I like to think of it as a way to make up for the often harried and occasionally harsh manner in which I shoo them out the door on Friday mornings. When I receive Christ in the Eucharist, I am reminded that no matter how overwhelmed I feel by the busy-ness and the business of my life, I can do all things through Him because He is with me -- literally with me in the Eucharist. I find myself more present to the gift of the Eucharist at school Masses than on Sunday because I've not spent the point up to communion calming wiggling children, answering "How many more songs?" fifty times, instructing someone to stand up straight, and saying, "No, you can't go to the bathroom. You should have gone before." Finally, I love attending school Masses because I get to look around and see all the people my children interact with on a daily basis -- teachers, staff and other students. I see them joining together in prayer, song and deliberate expression of our faith. And I know that our decision to send them to this school is the right one. There are a lot of things I don't like about the back-to-school time of year. Things like getting kids into bed on time and getting kids out of bed on time. Like adding certain phrases back into my vernacular -- "Where's your assignment notebook?," "Don't forget your lunchbox," and "What do you mean your book report is due tomorrow?" But what I hate most about this time of year is the Sally Foster sale. If you have no idea who or what Sally Foster is, consider yourself lucky. Sally Foster is a fundraiser that many schools use to raise money for whatever they deem necessary. The Sally Foster catalog came home today -- bright and colorful and promising "inspiring solutions for every occasion." I don't know about you, but I've never been too inspired by $12 giftwrap. Now, I will admit to being enticed by the Peppermint Topped Chocolate-Covered Cookies, though the hefty price tag on that does induce more exclamation than inspiration. Of course the kids could care less about the double-sided foil gift wrap or the eucalyptus reed diffuser in an apothecary jar. What they want are the "gonna last for 2 days" crappy prizes they'll win if they sell 700 rolls of satin ribbon. The school does its best to get the students revved up for the challenge. They have an assembly with a lot of cheering and classroom challenges and "you can do it if you set your mind to it" pep talks. Thankfully our new principal doesn't participate in the cross-dressing escapade the old head of the school did; several of us parents thought the latter enjoyed dressing like Sally Foster a wee bit too much. This year to get the kids excited for the annual ritual, the principal flung a few flying monkeys into the student-filled bleachers. Too bad it was the kindergarten teacher who had to calm down my hysterical Robbie because he didn't get one. By the time I arrived home, he had mostly forgotten about the monkeys. What he was focused on instead was the inflatable bowling set that can be all his if he just sells 50 items from the catalog. Charlie wants the inflatable chair with speakers (only 100 items) and Annie wants the iPod nano -- the only non-crappy item on the prize list. So, if we can manage to sell 290 pieces of overpriced, er, high quality, gift wrap and other inspirational widgets, all will be well. If not, I might have to put out a hit on Sally Foster. "Diet Coke is the best thing ever invented." She goes on to admit that when she orders a Diet Coke in a restaurant and the waiter says "Is Diet Pepsi okay?," she always says yes. "...but really it isn't. Diet Pepsi isn't okay," says Paul. Well, I was high-fiving that statement so I felt compelled to write her and let her know how much I agreed with her. Like she cares what I think. But I e-mailed her anyway. Not only did I let her know that I agree with her, but I laid out my sob story that Chick-fil-A no longer offers regular Diet Coke. "You know what else is not okay?," I wrote to Mrs. Paul. "Coke Zero. Much to my chagrin, Chick-fil-A has changed their beverage offerings. Caffeine Free Diet Coke, Coke Zero or regular Coke. I am not a coffee drinker -- I need my morning caffeine to have bubbles in it. So the Chick-fil-A menu choices do not work for me." Dear Chick-fil-A: I visited one of your restaurants this morning on my way to work and I was served by two delightful older gentlemen. Bill cheerfully took my order in the drive thru. Then Mark, equally cheerful, handed me my food. It was quite obvious that they both were having a good time and were ready to pass those positive attitudes along to customers. That was the great part of my visit. The NOT so great part was that I was dismayed to learn that my regular Diet Coke is not on the menu any more. I am a Diet Coke purist and to only have the option of caffeine-free Diet Coke (generally acceptable, but not when I need my morning boost) or Coke Zero (BLECH!) is enough to make me choose another restaurant if I plan to visit during the breakfast hours. Please -- keep Bill and Mark and bring back REAL Diet Coke! Thank you for taking the time to contact Chick-fil-A. You are very important to us, and we appreciate your positive feedback. We want you to have a great dining experience each time you visit our Chick-fil-A stores. We will forward your kind comments to the Operator of our Pyramids restaurant, so he can share them with his Managers and Team Members. We think it's a good thing when we can let them know how much our Chick-fil-A customers really appreciate their smiles, efforts, and courteous service. Regarding your comments about the availability of diet Coke at this location, I hope you find the following information helpful. Chick-fil-A proudly serves many Coca-Cola brands of soft drinks, freshly brewed iced tea, and our own fresh-squeezed lemonade at all of our locations. However, based on customer demand, the local Operator of the restaurant may choose to offer additional soft drink brands. If you have a favorite Coca-Cola brand product not currently offered, I would encourage you to let the Operator know. We look forward to serving you at one of your local Chick-fil-A Restaurants again soon. So I'm thinking about picketing to speak out for the rights of Diet Coke purists everywhere (or at least on the NW side of Indy). Let me know if you'd like to join me! Women who politely mutter "excuse me" as they reach six inches in front of another shopper in the ketchup aisle are suddenly on their feet screaming, "Get in his face. Don't let him past you!" 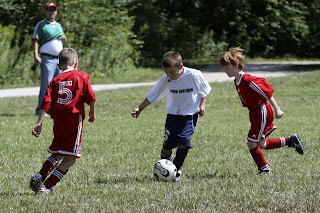 Mothers who are normally deferential and choose to remain quiet so as to not upset the apple cart emerge on the sidelines of a soccer field as the nemesis of the referee, who is often only a few years older than the players. "What?! Red ball? How can you say that? That was totally off red." And woe to the official who should miss a call when Cybill Soccer's kid is on the receiving end of a dropped shoulder or a trip from behind. "Hey! Where's the call on that one? What game are you watching? Who is paying you?" Yet, when the last whistle blows, the she-devil of the soccer field returns to her perfect mom persona. "Great game honey...how 'bout some ice cream?" Ok, enough of the poor-me-birthday-self-pity (but if you really want to throw a little pity my way, scroll down...). On to something more lighthearted. Annie: Why am I so klutzy? Mom, are you klutzy? No, you're not klutzy. Is Daddy klutzy? Why am I so klutzy? Annie: No, Mom. I'm not having a klutzy period. I am klutzy. Period. Today is my 38th birthday and I'm feeling sorry for myself. I didn't intend to feel sorry for myself, it's just worked out that way. It's not that my family forgot my birthday -- my parents, my in-laws and all of my siblings have called with birthday wishes. A dear friend sent me a lovely e-mail bright and early this morning. Heck, even my next door neighbor e-mailed to say "Happy Birthday." It's not the age itself. 38 is not 40 -- or 50 or 60 -- after all. I guess I just have to chalk it up to "It's by birthday and I'll cry if I want to." 10. The birthday clean up fairy did not come to my house and magically make all the mess go away. 9. None of my online buddies wished me a Happy Birthday. 8. I'm immature enough to let #9 bother me. 7. I didn't get to sleep in because the kids had to go to school today (which will make its way onto my not-yet-conceived Top 10 reasons school should not start until after Labor Day). 6. I keep saying birthdays don't matter to me, but the fact that I'm making this list shows that they really do and that irritates me. 5. I had to cancel my birthday lunch with my sister because I cannot find my stinkin' car keys (and by default, my stinkin' house or office keys as well). 4. We are out of Diet Cokes and I couldn't go get more (see #5). 3. The mailman brought more bills than birthday wishes. 2. The 38 pounds I was supposed to lose before my 38th birthday are still here -- and they've invited a few friends to stick around as well. Every once in a while when I'm using Mike's computer, I click his bookmark for The Drudge Report. Today, when I clicked it, I found a story about a deceased Puerto Rican man whose family said it was his last wish to remain standing throughout his 3-day wake. Which got me to thinking that there is no time like the present to make my wishes known. 1. Unlike Senor Angel Pantoja Medina, I DO NOT wish to remain standing. I'd like to think that if at no other time in my life, at least in death I will finally have a chance to get off my feet. 2. I DO want my family and friends to cry over my passing. I often hear people saying, "Oh, she wouldn't want us to be sad." Forget that -- I intend to look down from my pearly pedestal and definitely want to see tears flowing. A few wails going up would be nice, too. 3. No matter how much my husband tries to convince you that I want my casket to bear a "My Other Car is the Starship Enterprise" bumper sticker, DO NOT believe him. That's his last wish. 4. I DO want to be buried with a Scrabble board. You never know how much time I'll have to pass in purgatory. That's all for now. The good Lord willing, I've got some time to think about it. Do not iron your shirt wearing only your underwear. The likelihood that you will sear your flesh with the side of the hot iron is surprisingly quite high. In the spirit of authentic communication, I need to make a confession. I am a technofraud. I am regarded by friends and co-workers as technologically advanced. They refer to me as the dotcom queen. And that’s fairly accurate. I can pretty much find anything on the web and use the internet as my first point of inquiry for any question at hand. However, my techno prowess ends there. I attended BlogIndiana 2008 today and had to face that which I have known for a while. When it comes to communications technology, I’m quite antiquated in my knowledge. • I just gave up my AOL account a few months ago. • When my kids put a photo on the background of my phone, I’m stuck with it because I don’t know how to change it. • I don’t have a Twitter account and wouldn’t know what to do with one if I did. • I only send about 10 text messages a month and am miserably slow at doing so. • The concept of a smart phone makes me feel dumb. • My Flickr is the TV remote control. • My husband puts stuff on my iPod because I don’t know how to. • The term “RSS feed” makes me want to order a pizza. For the moment, the fact that I am a technofraud is my little secret (and now yours). But, my kids are going to quickly outpace me and realize my technological inadequacies, beyond the fact that I don’t know how to work the Xbox or Playstation, which is already well-known to them. If you can help me jump with both feet into the 21st century, go ahead and send me a fax. I'm in desperate need of a babysitter to watch the kids tomorrow all day and in the morning on Friday. I've called and e-mailed six different sorority girls I've never met whose names came from a neighbor, hoping to find someone who can babysit. "So Miss Babysitter, I'm interested in possibly having you babysit for my Precious Dear. What is your major? Do you have much babysitting experience? Are you active in a mainstream church? Do you have any tattoos or piercings beyond your ears? Are you certified in CPR and first aid? Can you provide three references? 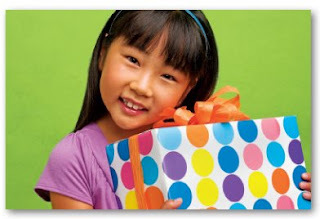 What is your babysitting philosophy with regards to playtime and outdoor activities?" Anyone who passed that rigorous examination would be invited to come spend a few hours with Precious while I was at home so that I could observe the interaction, Precious could get to know Miss Babysitter, and I could ask a few more questions. "What are the top 10 choking foods for toddlers? Do you know when to administer syrup of Ipecac? Can you recognize poison ivy? Do you know how to sterilize a pacifier that's been dropped on the floor? What is the most number of consecutive times you've read Goodnight Moon?" In the spirit of continuous process improvement, I have, over time, tweaked my babysitter interview questions. After all, I have the benefit of several years of experience as a mother, so I've refined the process to cover that which is most relevant. "Do you have any felony charges pending against you? Are you available? You're hired." 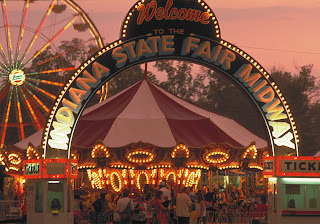 I am in love -- with the Indiana State Fair. Mike and I first visited the Fair when I was pregnant with Annie, about 12 years ago. I don't remember having any expectations about what the Fair would hold, but I do remember the feeling of falling in love with sights, the sounds, the flavors and -- ok, some of the smells. I'd never been to a fair before. Never. The closest I'd ever been to a pig was when a few of them escaped from a nearby farm and ran through our suburban neighborhood when I was a pre-teen. 4-H was a foreign concept to me, though I knew it remotely had to do with country kids who had cows for pets. Walking into the 4-H building for the first time and seeing the cakes, fashions, home-built lamps, insect collections, drawings and wood work that were done by people not old enough to drive, left my mouth -- and my mind -- wide open. I love the blinking multi-color lights of the midway, the whoosh of the rides and the squeals of the people on them. Though I don't ride the rides myself and I think they are ridiculous overpriced, I still love that they are there. We have told our families that they have to come to the Fair with us. Mostly, they look at us quizzically and give a "yea, sure, sometime" response. But we'll offer again because the Fair is something we just can't keep to ourselves. You know how I know it's love? Because even when it's not perfect, I still love it. Last weekend, we loaded up the kids and headed to the State Fair for some "ohana" time (not familiar with ohana? -- check out Lilo and Stitch). We had a list of things we wanted to do and see. However, the catch-and-release fishing workshop was full. The swine barn was empty. We arrived too late for the tiger show and too early for the Percheron judging. We couldn't find the livestock nursery and Mike and I lost each other for over an hour. But no worries. We were at the Fair and that was good enough. We did get to watch the carver of the giant cheese. The kids loved the free mini golf. Belly dancers intrigued us and no one stepped in cow poop (not us nor the belly dancers). And of course we ate. Steak sandwiches, corn dogs, pork BBQ, cotton candy, lemon shake-ups, roasted corn, elephant ears and ice cream. Spread out over 5 people over the course of 6 hours. Gee, that still sounds bad. There is probably something inherently wrong about visiting the IN Shape Indiana booth with a butter-drenched ear of roasted corn in your hand. Guess that's why our trial of Wii Fit showed that Wii are NOT fit. After we reached the point of sensual saturation, we piled back into the car, not thinking of what we didn't get to do or see, just content with knowing that next year our romance with the Indiana State Fair will continue. Note: Midway picture courtesy of the Indiana State Fair. Twice this week, I witnessed incidents involving cell phones that left me quite judgemental of the parties involved. The first was at the neighborhood pool. A mother arrived with her two daughters, the oldest of whom is going into the 6th grade. There was nothing remarkable about the situation, though I did notice that while the girls were swimming, the mom went off into the corner with her cell phone and had a lengthy conversation. When the conversation was over, she called to her oldest daughter and proceeded to tell her that she'd gone nearly 100 text messages over her allotted 1,000 text messages for the month and that the billing cycle was still more than 2 weeks away. The daughter was alternately defensive and contrite. Mom said, "you'll have to pay me for those extra messages." (A sum of less than $10.) Then, went on to say, "I owed you $10 for blah blah blah, so we're even." Which, while mathematically correct, doesn't in my mind equate to a lesson learned for young daughter. Mom then proceeded to tell the daughter that she had arranged to increase the daughter's text message allotment to 1,500 messages per month. Nice consequence Mom. How long do you think it will take her to use 1,700 minutes and expect Mommy to up her limit to 2,000? Never mind that this is an 11-year-old girl we are talking about. I have yet to hear a convincing story of why an 11-year-old child needs to have a cell phone. And, being the parent of my own 11-year-old, I've heard a myriad of weak reasons for why "I NEED a cell phone, Mom!" The second incident occurred at Target, though it could have happened just about anywhere these days. Man checking out, wearing a blue tooth and yapping on it the entire time he was in the check out. I hate those blue tooth things. Much too Star Trekkian for my tastes. Plus, I can never tell if the lady in the cereal aisle is talking to me or to the invisible woman in her ear. So many people have lost the art of offering common courtesy. Is it too much to say "hello" to the cashier? Or even "how's your day going?" Very few people like to be treated as though they are invisible. But that's exactly what this man distracted by his self-important phone call did to the cashier. I wonder what was so important that this man could not offer to return the call or even let it roll to voicemail. I wonder if he gave it a thought later? I wonder if it bothered the cashier, or if she has grown used to that kind of un-greeting? In short, I was left wondering "What the cell?!" I was at a meeting with people from Smaller Indiana this morning. It was an energizing discussion that wandered from recognizing "40 Over 40" in the areas of communication, commerce and culture to the innate desire of people to make lasting connections with others. One thing that fellow "Smoosier" (as we Smaller Indiana folks like to call ourselves ) Lalita Amos said about blogging has stayed with me all day. I can't quote her exactly, but she said something to the effect that as a blogger, she seeks out other bloggers who have different viewpoints than she does. Insert lightbulb emoticon here because, quite frankly, that idea had never occurred to me. Being pretty new to the blogosphere, I was told that one way to get your blog noticed is to visit others' blogs and leave comments. So, I set out to search for blogs I might find interesting. Using the profile key words in Blogger, I clicked on the blogs of those people who listed key words and phrases that I had listed, including "Scrabble," "Catholic" and "Steel Magnolias." And I did find some blogs I found interesting and worth repeat visits. But I must admit, having such a limited purview might get old after a while -- kind of like blogging to the choir, I suppose. So I am looking to expand my blog horizons. If you know of any enlightening blogs by non-white, non-Catholic, non-mothering, non-moderately conservative, non-Scrabble-addicted or non-fat bloggers, please let me know! My daughter Annie is 11 and is teetering on that pre-teen edge of life. The one where she has 8 toes into "big girl" activities and interests (pop music, fashion and boys) and 2 toes in the "little girl" life (Littlest Pet Shop, Webkinz and American Girl dolls). She's incredibly helpful when it comes to tending to her brothers (9 and 5) and doing chores around the house. She can cook and does laundry. Often, Mike and I forget that in the grand scheme of life, 11 is still little. Annie had her tonsils and adenoids removed yesterday. She was uncharacteristically brave as the surgery approached. She confessed some nervousness as the time came to head to the hospital. But when she was offered some medicine to help her calm down before the surgery, she declined. When it was time to go, she gave Mike and I each a hug and a kiss, the walked with the nurse down the hallway to the OR, not looking back once. "Our big girl," I thought. And then the surgery was over and we were reminded that 11 is still indeed little. She was in pain and looked to us to resolve that for her. When she was ready (by today's crazy hospital standards) to come home, she looked so vulnerable in the wheelchair. Probably in part because she was still pretty loopy from the anesthesia and pain meds. We came home and got her set up on the couch. And over the next 24 hours, I was reminded that she is definitely my little girl. The tears because her throat hurt. The frustration that she just felt rotten and exhausted in general. The request that I sit with her on the couch, so she could lay her head in my lap while we watched a movie together. I am very free with hugs and cuddles for the 5-year-old and the 9-year-old when I can catch him. It seems as they get older, they like their own personal space a bit more. But today was a good reminder that even though she is about 1/2 inch shy of my own height, Annie is still my little girl. And truthfully, always will be. A few days ago, I borrowed an electronic key to the community pool from our next door neighbors. Within 20 minutes of having the key in my hand, I lost it somewhere in my house. I searched for 30 minutes before I had to leave for work. No key. I asked Annie to look for it. No luck. I asked the babysitter to look for it. No help. So, it was time to get serious and call on St. Anthony, the Catholic patron saint of lost things. When we pray to St. Anthony -- or any saint for that matter -- it's not worshipping that person or putting them before God. Rather, it's like asking a friend to pray for you. "Tony, Tony look around. Something's lost and can't be found. Please help me find the missing pool key," I said as I left work for the day and headed home. Then I really didn't even think about it until I arrived home. I walked thru the door and into the seldom-used living room. Three steps into the room, I looked down and there, sticking out from under the ottoman, was the missing pool key! St. Anthony to the rescue again! I have a sleep disorder. Well, a few. I do have sleep apnea and have the wretched machine that goes along with it. But that's not what I want to talk about here. The sleep disorder I have is that I don't go to sleep. Not that I can't, but I don't. It's almost 1:30am and I'm still awake. This happens probably 3-4 times a week. And the next thing I know it's after midnight and I'm still awake. Then, like now, I look around and see all the things I should have been doing -- yes, chores, and then feel like I need to stay awake to finish the dishes or laundry. So that I can justify having stayed up so late. Why don't I sleep? What is my problem? Will good sleep always elude me? Will I learn to be as disciplined about my own bedtime as am I my children's?